The concept of donating, whether religious or otherwise, has also been well-documented by international players. McKinsey & Co, in a report, Designing Philanthropy for Impact, sums up the evolution of philanthropy in India. "Until the 19th century, giving in India was largely religious in nature and motivated by the search for individual salvation. Later, philanthropy began to be also directed toward social causes such as education and women's rights. Throughout the 20th century, leading Indian industrialists established foundations and other charitable institutions of national importance." 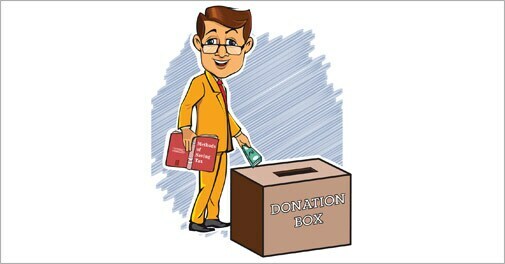 In India, a number of companies contribute to philanthropy in their own way. JC Sharma, vice-chairman and managing director, Sobha Developers, explains his rationale behind philanthropy: "We have been lucky to have had the opportunity to grow and have a certain standard of living. I believe it is our obligation to do our bit for the society." Ramesh Krishnan, a cost and management accountant expert with Olive Life Sciences, says, "People who want to contribute to charities should choose institutions approved by the I-T department for tax exemption. 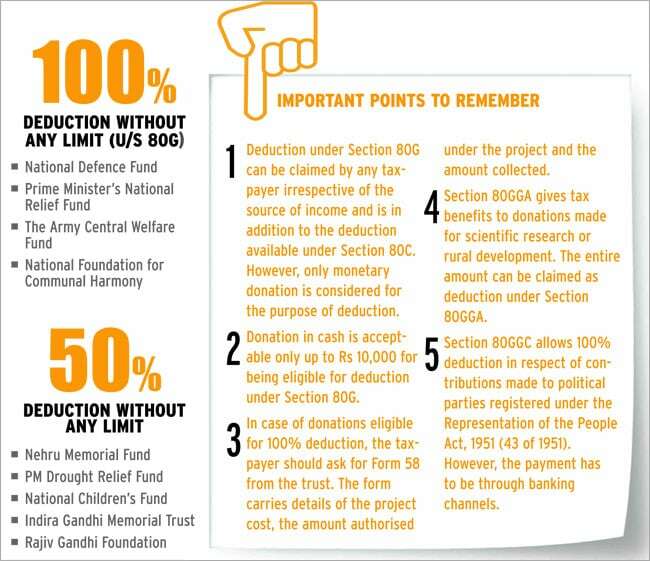 Government funds like Prime Minister's Relief Fund, Chief Minister's Relief Fund, Earthquake Relief Fund and Flood Relief Fund have 100% deduction eligibility.